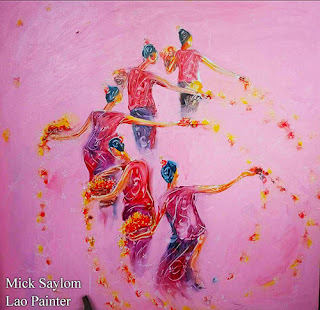 Here are a few examples of contemporary Lao painter, Mick Saylom, 39, of Huaphan province. 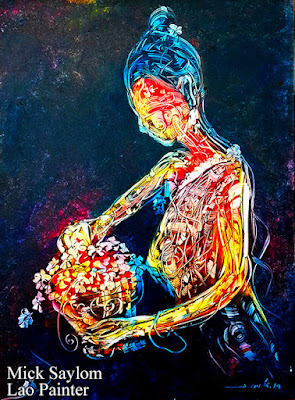 He was a former student of the National Institute of Fine Arts in Vientiane and former head of one of its departments. 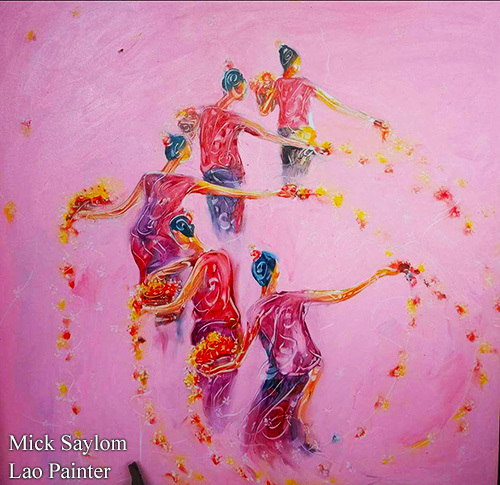 An accomplished artist in Laos with pieces created and sold both in Laos and internationally. Within Laos, his paintings are often sold at MGallery and K.La Gallery. 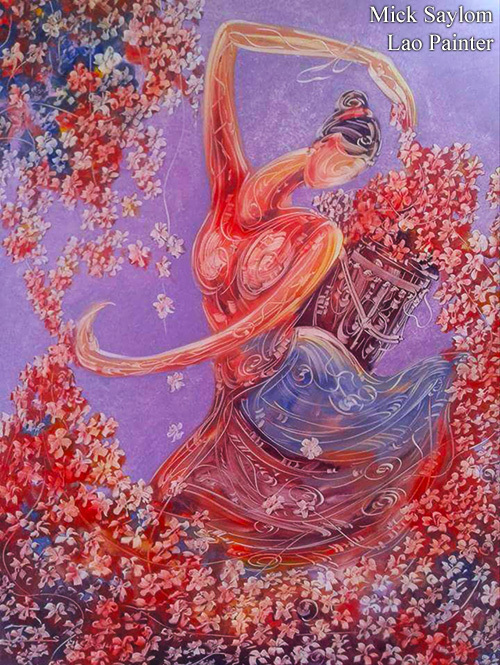 He does oil paintings, line drawings and water paintings that range from impressionist to contemporary and his subject matter is often of Lao culture and society. In this series of examples shown here the scenes are serene but what makes them bold and different are the details painted into the characters that have flowing, if not exaggerated, limbs along with the vibrant colour schemes. 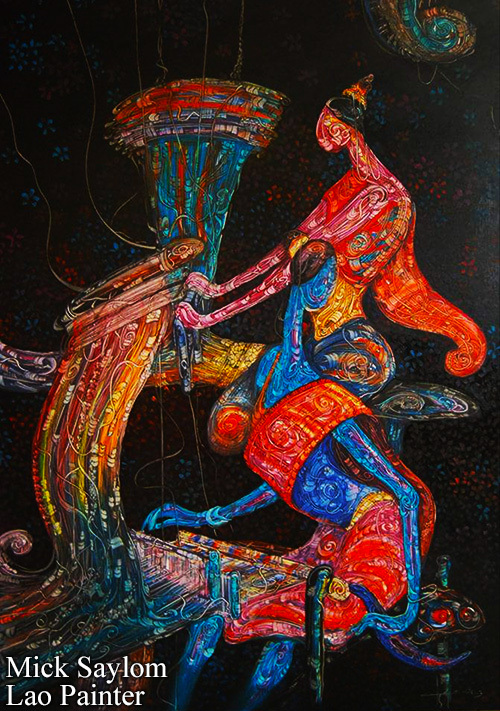 He brings an unusual touch to a visual subject that could otherwise be quite mundane. Many of his paintings have a dream like, spiritual quality to them as well. Have a look.